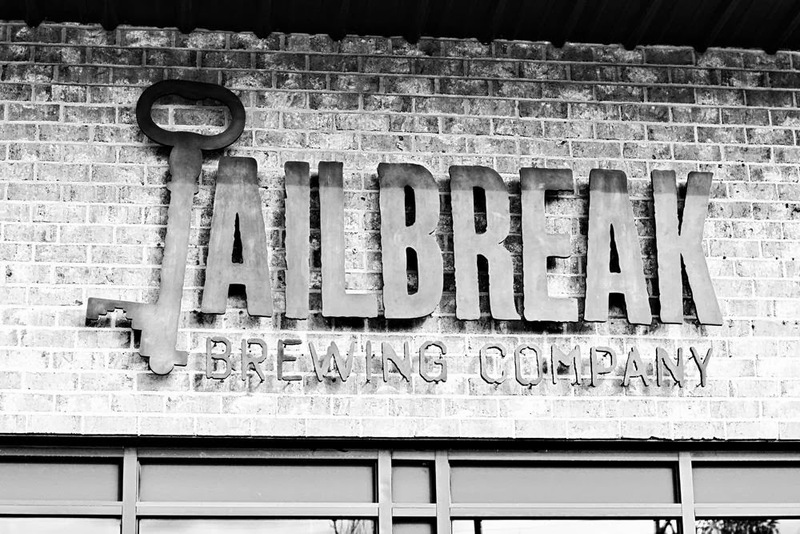 starting now: thursday . . . I'm alive - I promise :) It has just been such a busy two weeks - so much going on . . . Starting with the fun stuff first . . .
* Imaginisce is totally rockin' it with some fun new lines coming out!!! 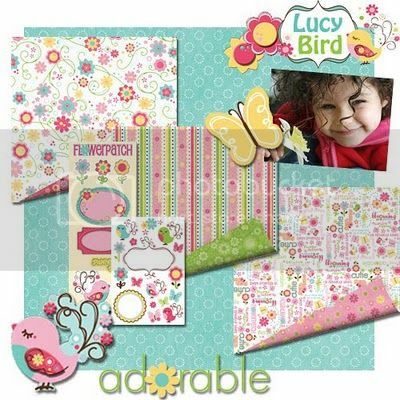 I have already mentioned the super cute Lucy Bird line . . .
And the adorable Scooter's Vacation (I used this line for a layout in my last post) . . . This next line - super sweet - get out your beachy pics everyone - introducing Splash Dance!! 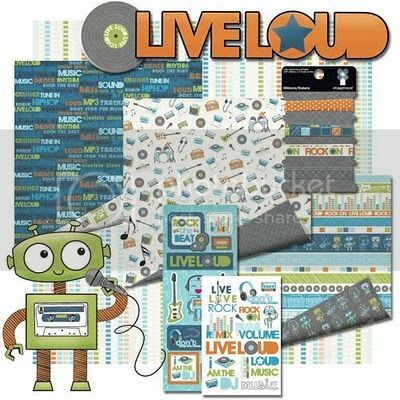 Love the fun & playful tone of this Live Loud collection - perfect for my little man!! Oh, but that is not all, check out these new backers to the already FABULOUS I-Top tool . . .
That's right, you not only can create brads, but badges, magnets, and buttons too!!! How cool is that?? Sorry to overwhelm you with all those goodies but I just had to share!!! * The Scrap Room has posted my monthly sketch for them as this week's blog challenge . . . Check all the details out here. 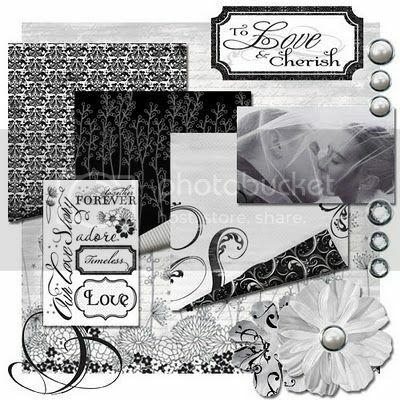 The prize is this awesome collection of Making Memories paper & Maya Road chipboard!! 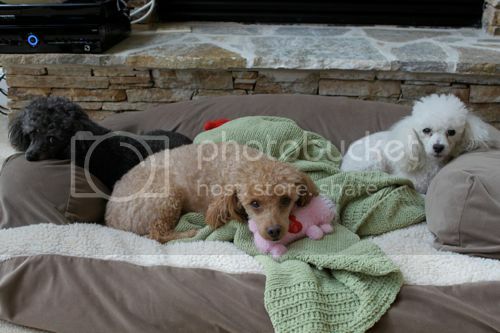 * Next up - my other 3 children - Bitsy, Peanut, and Lambchop - I know I don't share too much about them on my blog, but I LOVE them to pieces . . .
* Heavy duty construction in the Bonner house!!! My husband loves to drive me crazy by doing things all at once - currently we are putting in hardwood floors in our living room, stairways, and upstairs hallway - needless to say my house is a disaster . . .
That handsome man is not my hubby - it's my brother & oh yes - he is living here - just temporarily . 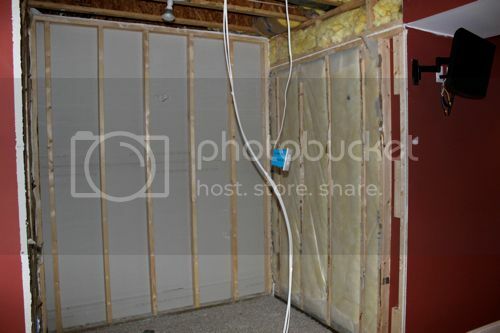 . .
Also - my husband is expanding his wine room - yes he has his own hobby - collecting wine & he is just as obsessed at that as I am at scrapbooking . 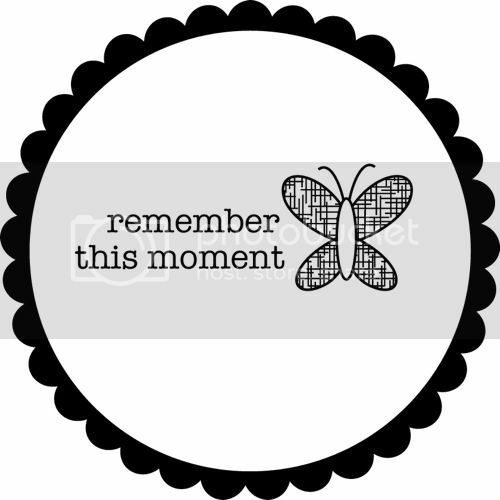 . .
All in all, life is busy in the Bonner world for sure - but good :) I've got lots of scrapping to do as my DT work needs to be sent out in the next week so keep checking back as I will have lots to share!! First: I so loved your sketch over at Magpie Club this month, I´m a bit late letting you know, but now it´s out there! I LOVE YOUR WORK!!! Second: I love your tags! 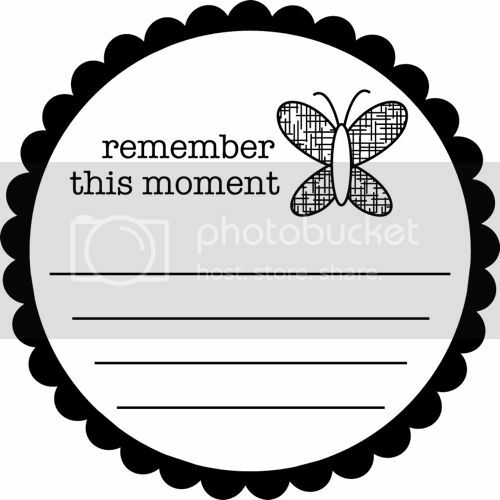 I use Illustrator as well, but I absolutly need to spend some more time fiddeling about.When you find out how to share them (maybe a PDF would work? ), maybe you would turn them into a SVG file as well? Then it can be cut on electronic cutters :-) Imagine the potential! I don´t know if you can print and cut on the Cricut, but I know I can on my Cougar. Lovely printed tags from you, cut to perfection on my cutter. The joy it would bring!! Third: (I know I´m going on a bit now...) Your poor dog!! I soooo feel for you :-( If the medications don´t work, I know there is a collar that admits a scent that is calming for dogs. I´ve seen this woman (with loooong black hair and a black fab car) on TV, and shes used it on dogs to calm them down. I also know it is recomended for New Years eve and such. She only trains dogs using positive reinforcements, so I think shes good! Julie!!!! That "Road Trip" layout is super sweet. I love the cardboard, it really adds the little boy dimension to the page. Sorry about Peanut. I've been there. Drugs helped and after a while we got her off the drugs and she was okay again. Did something specific happen to trigger her anxiety? Finally, SWEET SCRAPROOM can we have some closeups please!!! Thanks for sharing your scrap area. I have some of those same cubes. I can't believe how you used those corner shelves. Duh, never would have thought to use them on either side. Thanks so much for the inspiration. Can't wait to add them to my growing collection of storage. I too would love closeups, never know what else I could learn. 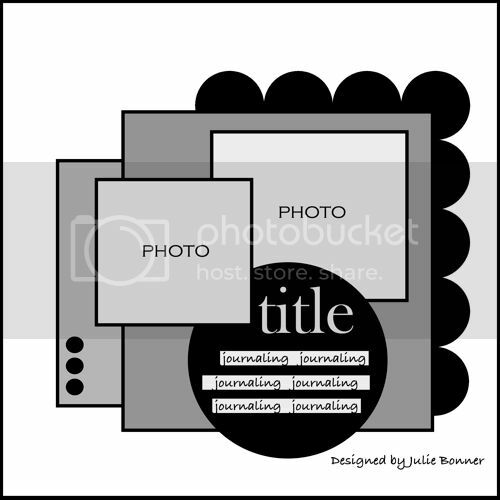 If you right click on the illustrations and "copy image" you can paste it in to Word and adjust the size using the sizing handles. Love your scraproom and your dogs! Your layouts are THE BEST! LOVE the new sketch!! Can't wait to try it! So wonderful to see pics of your sweet pups. So sorry to hear that Peanut is going though a hard time. :( Hope he feels better soon and you guys get some sleep. Poor little fellow. Lastly, your scraproom is amazing! Wow!! Love the new paint colour and so great to see where you create. 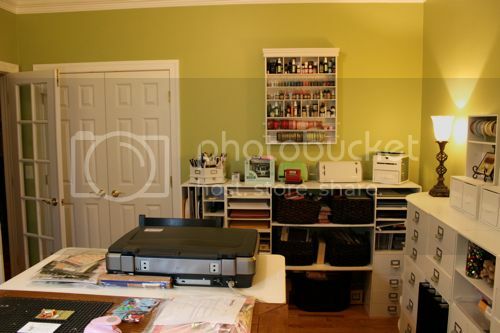 Julie...Color me jealous over that scrap room...hope mine looks as cute when it's done!! The new sketch is amazing as always! The lo is wonderful....so uber fun!! I hope your fur baby feels better soon! I too love your scraproom! I am totally green with envy - dill pickle green maybe? ... LOL! Good luck with the sketches! 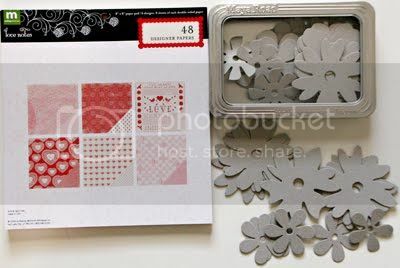 I"m my stinkin' goodness I LOVE LOVE LOVE your scrap space!!!! AMAZING!!!! 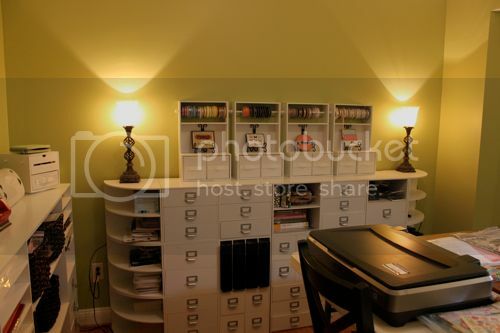 I'm in love with your scrap room! Beautiful! I just would like my work office out of mine! There is so much to love with this year's Winter CHA! Hi, Julie!! Cute stuff. And, can I say that I love your scrap room and the colors in your house? 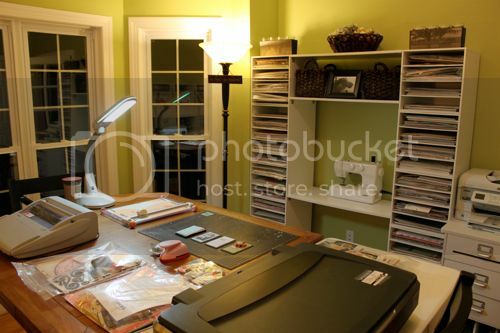 Hi Julie - Thanks for sharing pictures of your scrap room! I am also using those cubes but love the corner shelves on each side! Also, thank you for sharing your sketch! Definitely going to have to use it! Thanks for being such an inspiration! love all those papers, eager to try the new sketch and your home is beautiful! (even during construction). really like the "dill pickle" my kitchen is apple green and i love it.